Next in our Campbeltown minis evening, we moved from Glen Scotia to Springbank… comparing their 15 year age statement single malt. Palate – Softer than we anticipated yet again with substance, cereals, silky, apple sauce, more of those yummy baked goods, a bit of spice in the nicest possible way… sugar and spice! We immediately concluded with the 1st sip that this was one dangerously drinkable dram, that just kept being reinforced sip by sip. This was a whisky we would be happy to have sitting on our shelf, bringing out for guests who appreciate a good dram. 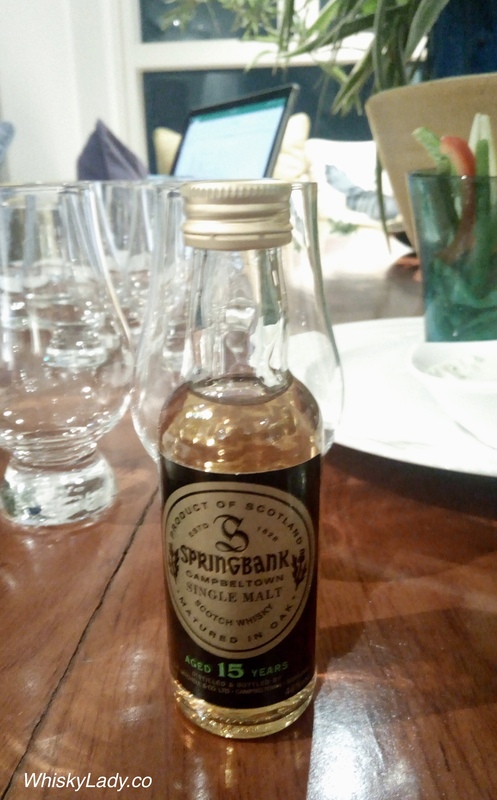 PS You can find Springbank in India through The Vault Fine Spirits.